Dr. Mills earned a BS at Westminster College, New Wilmington, PA, 1977; DDS at SUNY at Buffalo School of Dentistry, NY, 1981; Residency/Board Certification Pediatric Dentistry at U. Connecticut School of Dental Medicine, 1987. Experience: Indian Health Service, Oklahoma, 1981; US Army Dental Corps, West Germany, 1982-1985; Private Practice of Pediatric Dentistry, 1987-Present. Positions: Past President, Academy for Sports Dentistry; liaison, Academy for Sports Dentistry to the American Academy of Pediatric Dentistry; Editor, Newsletter of the Academy for Sports Dentistry appearing in Dental Traumatology. 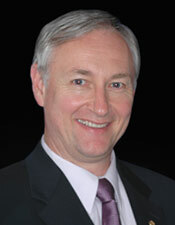 State Leader, Head Start Initiative, American Academy of Pediatric Dentistry 2008; lectured widely and published on Sports Injuries and Dentistry.